Searching for the Toms River movers to handle your every residential or commercial relocation and storage need? You've found us at Simonik Transportation & Warehousing. We have provided many of the 95,000 residents of this township with domestic and international relocations, whether they are moving their families, businesses, high-value products or commodities. We have more than 32 years of experience in moving good securely and expeditiously. Toms River Residential Movers: From a full-service household move complete with packing, crating, unpacking, vehicle shipping and storage to just handling the heavy lifting, we customize your household move to meet your unique needs. Toms River Commercial Movers: Let us handle the relocation of your office, facility, trade show exhibit or any other commodities with our commercial moving services. Specialized Moving in Toms River: Trust our high-value shipping services for the relocation of your invaluable products, ranging from fine art and antiques to computers and equipment. Warehousing and Distribution in Toms River: Streamline the storage and distribution of your commodities with our expert, seamless service that covers the nation and the world. Toms River Storage: Store your records or files with us for comprehensive services at tremendous cost savings. International Movers in Toms River: We move a diverse array of commodities overseas securely while easing the transition on families, businesses and employees. 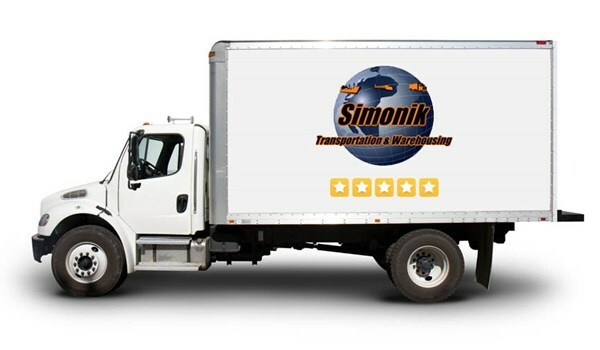 Choose us as your Toms River movers, and let Simonik provide you with the best move you'll ever have. Contact us today to hear more about our Toms River moving services. Fill out our quote form for your free moving quote right now and work with the New Jersey moving company who excels at relocation solutions for residents and businesses throughout this city and the surrounding areas.